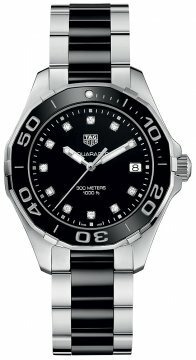 Buy this new Tag Heuer Aquaracer Quartz Ladies 35mm way131c.ba0913 ladies watch for the discount price of £1,360.00. UK Retailer. 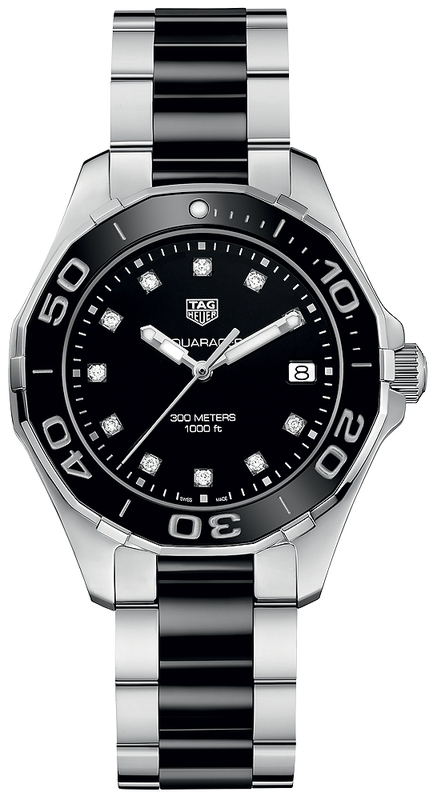 Stainless steel case with black ceramic bezel. Stainless steel and black ceramic bracelet. Luminous hour and minute hands.